The logs inside cargo holds of a Hong Kong registered bulker carrier were fumigated during the passage and discharged at port of Humen, China. Therefore, a stevedore was called to repair an excavator in No. 3 cargo hold. Yet, he was later found lying on the spiral ladder in No. 2 cargo hold. 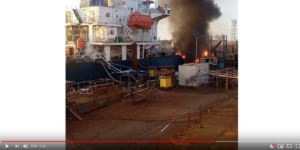 After being informed of the incident, a stevedore supervisor entered No. 2 cargo hold with clothes covering his nose and mouth to rescue the stevedore. However, the stevedore supervisor collapsed inside the cargo hold. Some other stevedores also tried to enter the cargo hold with masks, but retreated due to strong odours. 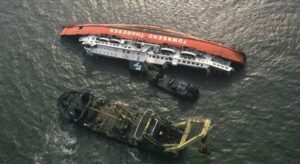 After receiving the report of accident from the duty officer of the vessel, the master organized a team for a rescue operation. The casualties were taken out from No. 2 cargo hold and declared dead by the shore medical team. 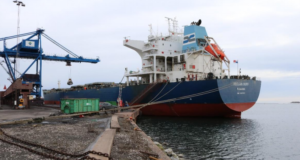 Communication with vessels’ crew about cargo handling procedures and precautions including risks of particular cargoes and the dangers involving the cargo operations and environment on board.